This tour is born from the desire of a local person who wants to show international friends true heart and soul of the city. From the hidden aspect of history to the bustling local life, from the sacred temple to delicious cuisine, we've got you all covered! We’ll go straight to one of our favorite spots for a local breakfast of champions. With renewed energy, you will visit the Nguyen Thien Thuat Apartment Complex, an Oasis of old Saigon right in the heart of modern Ho Chi Minh City. 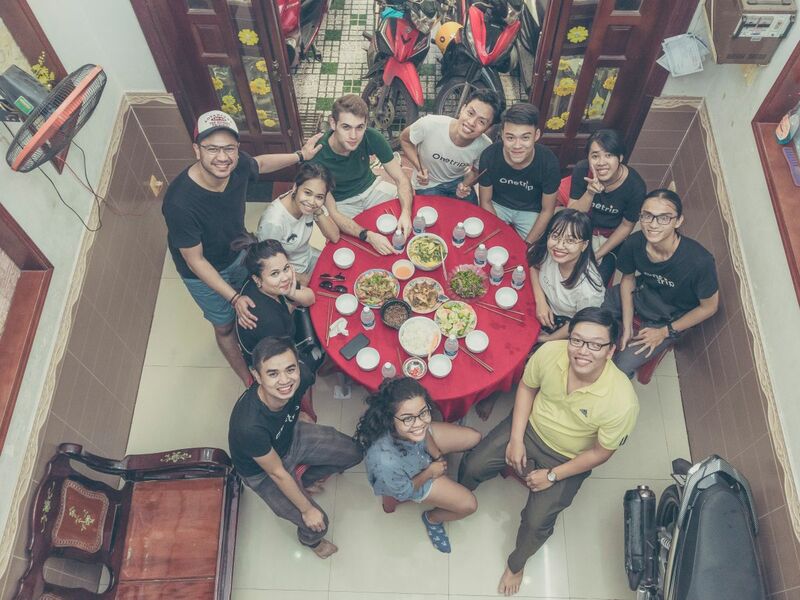 Visiting this place will be a great way to get to know more about our Vietnamese culture and understand how 3 generations of a family can live together in one single flat. A 5 minute stroll will take us to the Ban Co Market where you can experience the vibrant and authentic local market life. You’ll have a chance to buy some fruit at this market that will later serve as dessert for lunch. Next up is a stop at the Cheo Leo Cafe where we’ll enjoy a Vietnamese coffee before we take our motorbikes to a weapons-concealing bunker - an unusual yet fascinating insight into the history of Saigon. And yes, we’ll make sure you get to have the opportunity to crawl inside the bunker. In that same spirit, we will pause at the Thich Quang Duc statue to relive one the most emotional moments of the war. After all that, the beautiful Jade Emperor Pagoda is our last stop before having lunch. There is no better way to taste real Vietnamese food than with a home-cooked meal. Dishes vary by day, but could include… And of course, let’s not forget to enjoy the fruit that you have bought at Ban Co Market earlier! We will arrive back at your accommodation. Don't forget to give our guides a hug and keep in touch. It will be an experience to remember and we hope you will leave with a new friend made.